Communication is key. It’s important to listen to any feedback and suggestions your employees may have. Being open to change can streamline the whole process. We have an amazing team and we stick together. 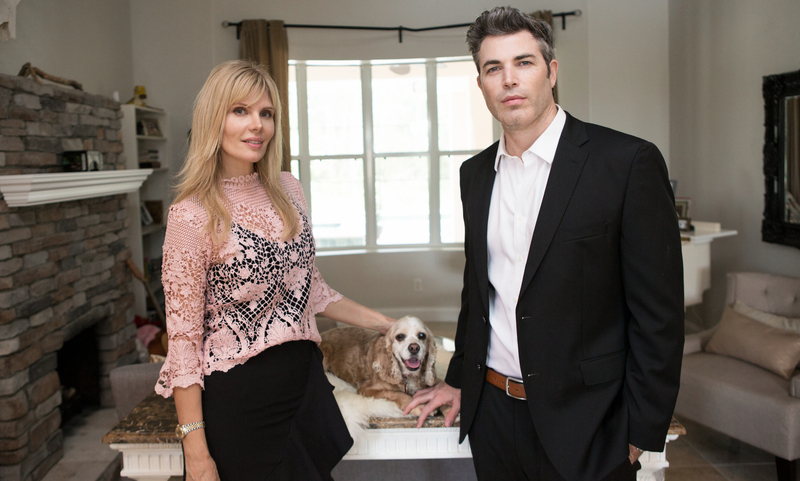 I had the pleasure of interviewing Andrew and Karina Feld, founders of the doggy grass service Fresh Patch and the film production company, Tallulah Films. 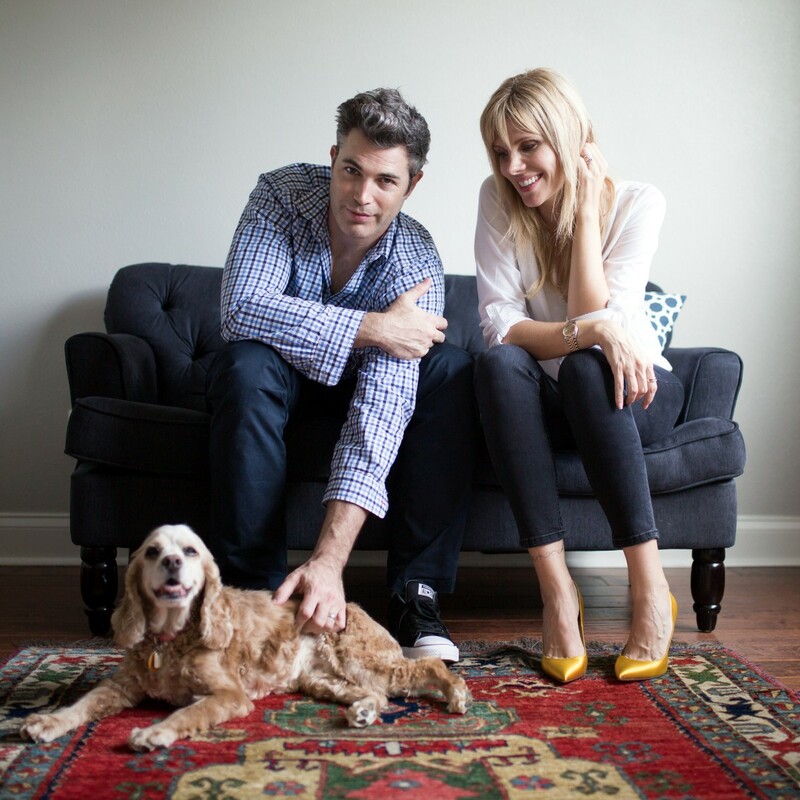 The couple made the transition from working as actors in Hollywood to starting successful businesses. Andrew: In 2005, I received an email from a director asking me to audition for a film. He sent me Karina’s headshot and told me that he wanted me to audition to for a part alongside her. After seeing her picture, I immediately let him know that I would like to work on the project. Karina: It’s crazy to think that that one audition lead to all of this. We’re lucky you showed up! Andrew: We got married quick, three months after meeting each other. Karina: We don’t like to waste any time. Andrew: We lived in Los Angeles for several years working as actors. I did mostly television and commercial work. Around 2009–2010, after the writers strike, we found it harder to make a consistent living. Karina: I was offered a job to work as an assistant producer in Florida. We both agreed it was time to try something new. Andrew: We sold everything we owned and drove our cars across country. I’ll never forget that drive — it was the middle of winter and the car I was driving did not have any heat! Our dog, Chloe sat snuggled on my lap the entire ride. Karina: I learned so much from my years as an actor on set and producing jobs in Florida. Without them, I’m not sure that I could have started my own company, Tallulah Films. Andrew: I studied finance when I was in school. While she was at work, I was applying for banking jobs online. Unfortunately, my experience as an actor didn’t really help, and I spent months unemployed at home with our dog. Karina: Our dog was pretty upset about the move. Our LA house had the nice backyard in the Hollywood Hills and our Florida condo only had a balcony. Andrew started bringing sod from the local plant nursery and would put it onto the balcony for her. Karina: I’ll never forget it. He woke in the middle of the night with an “A-ha!” moment. The next day he was filing for a trademark and making a logo. We haven’t looked back since. Andrew: From the beginning, we knew this was a product and a story that would be great for Shark Tank. Karina: We made it to the final round of casting two years in a row — and both times they cut us at the very last minute. We would put so much work into the casting process — it was really devastating to get so close. Andrew: The third year we applied we told ourselves it would be our last. Thankfully, they ended up flying us out to Los Angeles to be on the show. Karina: They kept us in Los Angeles for several days before we were scheduled to pitch. Two days before we were supposed to tape our episode, Andrew broke his foot at the hotel pool. Andrew: I didn’t have shoes on and rolled my ankle on an uneven sidewalk. Karina: (laughing) I watched the whole thing go down across the pool. Almost in slow motion. I remember calling the medic and getting ice — lots of ice. Every few hours my three year old daughter and I would make a trip to the ice machine in the hotel. Andrew: I knew the producers had several back-up entrepreneurs on standby. If I suddenly showed up with a broken foot, they would have passed on our pitch for liability reasons. Karina: So we didn’t tell anyone. He left his crutches and his boot in the hotel room at all times. We taped his foot as best we could and put him in a pair of strong high-top shoes. Andrew: Luckily, I finally got my turn to give my pitch in front of the sharks. My adrenaline surged when they opened those doors and I walked into the tank… I completely forgot about the pain in my foot. Karina: I could tell you were limping.. but you pulled it off. Very impressive. Karina: Life is full of ups and downs. It’s about keeping that vision in your mind of where you want to be, even when things don’t go as planned. I know for us things didn’t happen overnight. It was a culmination of events and the habit of doing something every day to grow the business. Karina: I think with both of us working together it made it easier to stay on track. We pulled each other through any bad days and that’s what kept us going in that first year or so. Karina: It’s going really well. We have the time and flexibility to pursue opportunities we really want to be involved with. Andrew: We are lucky that we get to work from home and spend a lot of quality time with our two daughters. Andrew: Always make your bed. Karina: Let Andrew make the bed. Karina: Always go with your gut. I’m a huge believer in paying attention to how I feel about something right off the bat. It could be great on paper, but if it doesn’t feel right, I don’t do it. I go to bed early and I wake up early. Eating a healthy mostly vegan diet has helped me stay healthy and then just to keep moving. It’s all about balance. I love to exercise as a form of meditation and with two little girls they keep me busy. Andrew: Set big goals for yourself. Karina: Yes, Don’t ever settle. Andrew: And listen to Gary Vaynerchuk’s podcasts..
Andrew: Both of our families were very supportive when we approached them with the idea for Fresh Patch. My parents and my sister have devoted so much of their time — without their support, I’m not sure that the company would have taken off. Karina: One of my favorite memories is of my parents when they came to visit us in our tiny one-bedroom apartment in Miami. Everyone was crowded around our dining room table helping to put stamps and addresses on our first flyers. 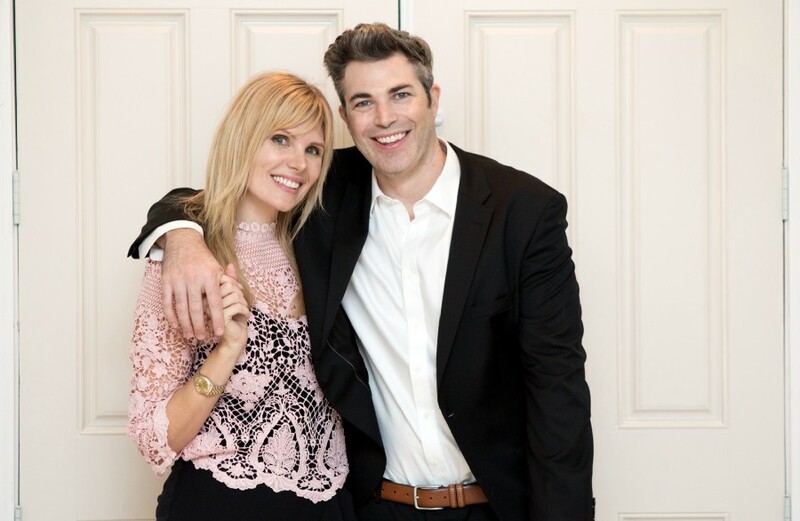 Andrew’s sister Laurie was also there in LA to help out during Shark Tank. She and I put Andrew through a boot camp in the hotel room for days before going out to pitch to the sharks. She was a crucial part through this whole process and she still is today. We donate our products to animal rescues and shelters all over the country. The biggest reason people abandon their pets is because of accidents in the home. Training dogs to only eliminate on real grass is the best way to prevent these accidents. We also have plans to open our own Fresh Patch Dog Rescue! Karina: I have two indie films next year that take place in Florida. I’m also involved with a couple of shorts here and in the UK that are doing really well. I hope that the projects I take on make people think. “Little Miss Sumo” by Matt Kay talks about equal opportunity for women in sports and “American Boyfriend” by Helen Morales is a coming of age story which I think everyone can relate to. Andrew: Hire the right people and give them trust and the tools they need to do their job. Don’t micromanage your employees. Karina: Communication is key. It’s important to listen to any feedback and suggestions your employees may have. Being open to change can streamline the whole process. We have an amazing team and we stick together. Karina: I’m passionate about helping women and children. I currently work with a charity called Latinos Unidos Fundacion. They create opportunities for women in crisis and help rebuild rural villages in Latin America. Starting locally is a way everyone can make a difference. Karina: Life is not a dress rehearsal. It’s the idea that you should take chances, put yourself out there and do what makes you happy. You have one life, make it count. Andrew: Life is like a box of chocolates.